Corsair's new component toys will make summer 2016 the summer of the gamer. Corsair blasted into Computex with a proverbial barrel full of fresh high-performance gaming gear ready to release this summer. The component maker showed off super-fast desktop RAM complete with LED lighting, magnetic levitation (mag lev) case fans, and even a liquid-cooled Nvidia GeForce GTX 1080 graphics card. All three new products are set to roll out sometime between July and September, though pricing wasn't announced for any of the hardware. Let's dig in! First up are two new ranges of DDR4 RAM: Vengeance LED and Dominator Platinum Special Edition. Corsair's Vengeance line has a reputation for offering off-the-charts speed. Just a few months back, the company introduced Vengeance LPX memory kits for X99 motherboards that could crank it all the way up to 3,000MHz. Ha! These new Vengeance LED XMP 2.0-compliant RAM kits up the ante to a staggering 4,333MHz clock speed. Plus, as the name suggests, this RAM integratedsLED lighting in red or white to make your glass or open air cases look even more badass. Corsair also went upscale with its Dominator Platinum series, introducing the Dominator Platinum Special Edition DDR4 RAM. The new memory offers black brushed aluminum and Chrome finishes. Corsair says the new Dominator RAM will allow for "ample overclocking headroom" on X99 and X100 motherboards. Corsair's announcement didn't mention what kind of retail packages the new RAM will come in, but Tom's Hardware says Vengeance LED "will be available in configurations ranging from 16GB (2 x 8GB) to 64GB (4 x 16GB)." The Dominator memory will only come in kits of 32GB (4 x 8GB or 2 x 16GB) and is clocked at 3,200MHz, according to Tom's Hardware. The Platinum will also offer white LED lighting. "Yeah, my rig is rocking mag-lev fans." The bragging rights in that sentence alone are enough to pony up the dough for these case fans. But for you sticklers for detail out there, Corsair's new ML Pro and ML Pro LED fans use magnetic levitation bearing technology to offer high performance 120mm and 140mm fans with a minimum amount of noise. The fans' integrated lighting bounces off the colored translucent fan blades to add a little more color to your case. Corsair's also teaming up with MSI for the Hydro GFX GeForce GTX 1080. 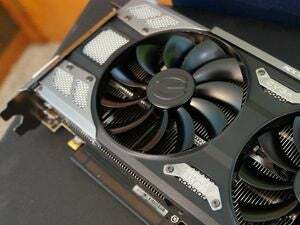 The graphics card features a Corsair closed-loop liquid cooler with PCB design from MSI, similar to the arrangement for the current Hydro GFX GeForce GTX 980 Ti. 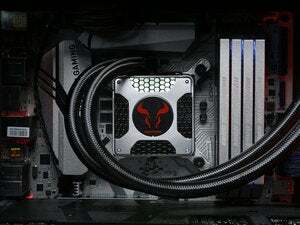 Corsair says the liquid cooling will allow the 1080 to reach higher boost clock frequencies for longer durations. 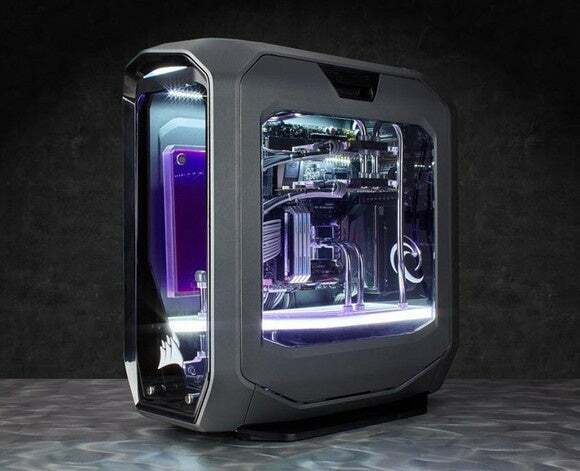 Finally, Corsair also took a moment to celebrate a new model of the Carbide 400C case introduced in January. A white version of the case will roll out in June. Nice job Corsair, but where's the rose gold version to match the iPhone?